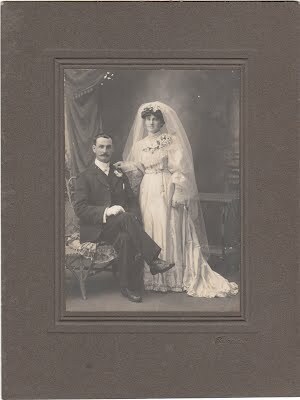 Early New Zealand Photographers: Tasma Photo Co. This business opened in Revell Street, Hokitika in November 1902, the manager was F. M. Agnew from Melbourne, he had also previously worked for Downey and Co. in London, H. S. Litchfield also worked for the company. THE TASMA PHOTOGRAPHIC COY will OPEN BUSINESS in the course of a FEW DAYS in the premises known as TAIT BROS, photographers, Revell Street, under the management of Mr F. M. AGNEW, late of Tasma, Melbourne. F, M. AGNEW, Manager. The show windows of the Tasma Photographic Studio in Revell Street have been been attracting a great amount of attention during the holidays. Some excellent photos recently taken are on exhibition, and it is safe to say no better photographs can be shown in any studio in New Zealand. The most modern styles can be obtained at the Tasma Company's rooms and at very reasonable charges. A large variety of excellent post cards, on which are depicted views of local interest, are on view at the Tasma Photo Company's shop, Revell street. Mr J. E. Dawson, proprietor, has gone to a great deal of trouble to procure the most interesting souvenirs suitable for Christmas and New Year reminders. 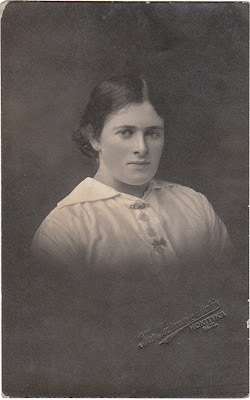 The cards are to be procured in "Black and White" and coloured photography and in this connection the high class artistic work of Mr Dawson is especially noticeable. A visit of inspection is invited. There are 3 known photographs of the warships Challenger, Powerful, Pegasus and Prometheus of the Royal Navy's Australia Station at Lyttelton in early 1907. 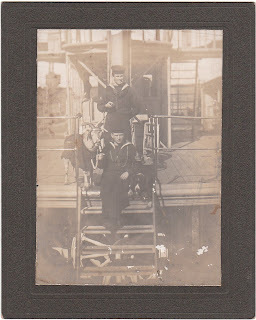 I'm not sure what's going on with these photos, one which has the date 25.12.07 was taken in Hokitika and shows the men with HMS Phoebe on the bands of their hats. 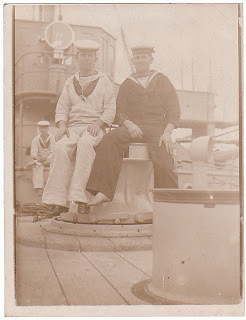 However it seems the HMS Phoebe was sold off in 1906. 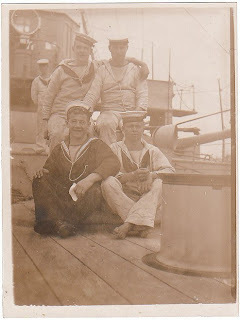 One of the amateur photos also shows the HMS Phoebe. 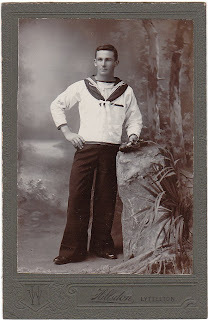 I've not been able to find much about the HMS Phoebe and if she was ever in New Zealand or Australia. 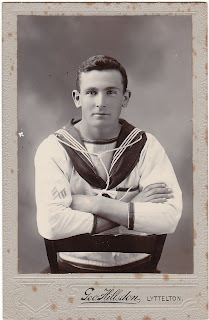 I suppose the date on 1907 photo could be the date of the inscription, (the date he sent the photo to his mother) rather than the date the photo was taken. 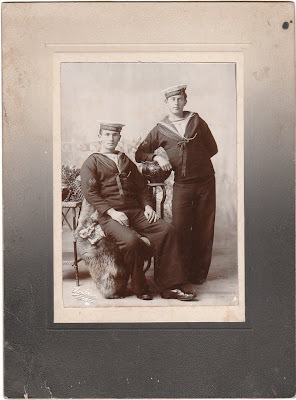 Paid for by Australia under the terms of the Imperial Defence Act of 1887 to serve in Australian waters, the third class cruisers displaced 2,575 tons and were capable of 19 knots (35 km/h). Length : 278 ft. Beam : 47 ft. Depth 15 ft 6 ins. I.H.P. : 7,500. Armament 8 - 4.7 QF, 8 - 3pdr QF, 4 MGs, 2 - 14in TT, 2 TC. Complement : 217.